Found in the southern parts of the UK and common throughout Europe, this plant likes damp places and can be found in wet meadows or beside rivers and streams. The green flower buds appear first, and are then followed by the leaves. 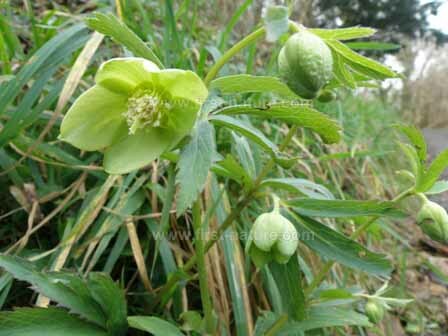 The flowers appear in February in the UK and much earlier in southern parts of Europe. Sometimes the stems are tinged with purple. The entire plant can grow up to a metre in height. The specimen shown above was photographed in southern France, close to the Lot Valley, in December.